BZENTER Mall the first community mall in Sai Yuan Rawai, Phuket. "Get closer to your Consumer, than get inside to your Customer Heart" This is the main idea of The BZENTER Mall Concept, The Best way to make your business in to your Customer Heart. 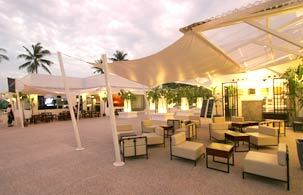 BZENTER is raised in the cozy residential area on the Southern end of Phuket Island. It's set on Baan Sai Yuan close to Nai Harn Beach, Promthep Cape. Architecture of this project is reflecting the quality life style of Sai Yuan Community.